Cincinnati City Council gathered today to vote on allocating $2.6 million for the Cincinnati Streetcar project that will allow the project to move forward and signal a local financial commitment to the Federal government in the next round of TIGER grants. 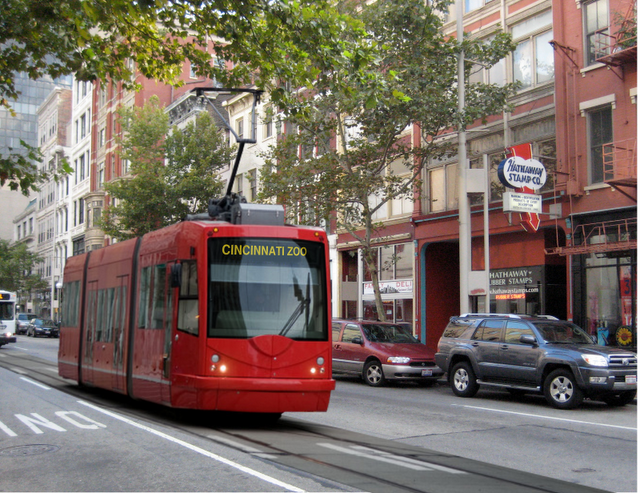 An initial motion by Councilman Monzel opposed to the Cincinnati Streetcar was soundly defeated five to two with Winburn abstaining from the vote. Following that motion 31 members of the public spoke on the matter of allocating the $2.6 million. The group consisted of students, young professionals, business and property owners, and those interested in seeing a better city. Out of the 31 speakers only two spoke against the project - one of which being Tom Luken. The message was clear to Cincinnati's City Council: If you want the support of the next generation of Cincinnatians, you need to support improved public transportation. Business owners also spoke overwhelmingly in favor of the project touting its economic benefits with Bob Pickford, President and CEO of Findlay Market, going as far to say that, "The single-most important investment this city can make to keep Findlay Market viable long-term is the streetcar." A student from the University of Cincinnati's world renowned college of Design, Architecture, Art & Planning then went on to urge City Council to prove his classmates wrong by investing in the streetcar and showing them that they can stay in Cincinnati after graduation and be welcomed by a progressive, forward-thinking city. After the long public comment session Cincinnati's City Council discussed the matter amongst themselves. Councilman Berding went on in his comments and quoted creative economy expert Richard Florida's recent book that discussed the need for vibrant city centers in a new economy. Berding also mentioned Jane Jacobs' progressive vision for American cities as places that are vibrant and foster creativity. Councilman Bortz then brought the discussion back home and stated how an affirmative vote to allocate these funds will go a long way towards closing the financial gap and securing the necessary Federal funding for the project. Meanwhile Monzel sounded off on Teaparty talking points about "feeding the beast" when it comes to getting Federal grant money. When all was said and done, Cincinnati's City Council voted 6-2 to allocate $2.6 million to the Cincinnati Streetcar project with only Leslie Ghiz and Chris Monzel voting no (Winburn abstained). While initially small, this commitment will go a long way in terms of the total $63 million local commitment as Cincinnati sends its application to the Federal government for the next round of TIGER funds. Interestingly enough, both Ghiz and Monzel have their sights on the vacant Hamilton County Commissioner seat and have since shifted further to the right to appeal to a broader, more conservative county population. Ghiz has made the greatest shift after having authoritatively saying that she had always supported the project - that is until now that she has the suburbs in mind as she is voting on city issues. Downtown resident John Schneider has seen all of Cincinnati's public transportation discussions as the chairman of the Alliance for Regional Transit, and summed it up near the end of the public comment session when he said, "This is a day that will go down in the history books." Speculation is not typically my thing, but I believe this will be the day that we look back and realize when Cincinnati stepped up to the challenge of redefining itself for a 21st Century economy. Follow along with the live Twitter discussion from earlier today here. finally! does anyone know what the next steps are for the streetcar project? Thanks for posting this and all the twitter updates. I would have loved to come down and speak as both a young downtown worker and new OTR property owner...unfortunately I couldn't sneak away from work. This is a great start to getting new transportation options in the center city. I liked it when Bortz gave Monzel a chance to come up with something better & he was pretty much blank. Well, that & the Windbag going on about how you can say anything when campaigning but it's different when you get elected. Cole telling Luken to pipe down & follow the rules was pretty classic, too. I was very heartened to see so many young people at city hall!! Thanks for the coverage on this, both on here and Twitter. 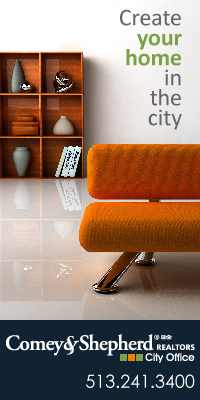 Keeps us out-of-towners in the loop. Definitely an exciting time to be in the 'Nati! Just wanted to announce Cincinnati was the target of a Reason Magazine (a Libertarian magazine) about our streetcar project.